Legislators want to hear from you! This year we have a once in a generation opportunity to define what Iowa will look like for you, your children, and your grandchildren but we need your help! The Iowa House has scheduled a public hearing on tax reform for 5:00 p.m. Monday to hear from citizens. Big spending special interests will have people portraying doom and gloom if tax cuts are passed. We need citizens like you to make your voice heard. YOUR voice supporting and encouraging legislators to pass tax reform is the voice that will make it happen! If legislators do nothing, a majority of Iowans will see their taxes increase. In December Congress passed and the President signed the Tax Cuts and Jobs Act lowering federal income taxes for a majority of Iowans. These taxpayers will likely see their state tax burden increase because of federal deductibility. To lower income tax rates across all brackets and reduce the top individual rate from 8.98%, one of the nation’s highest. To let Iowans keep more of their money in their bank accounts. 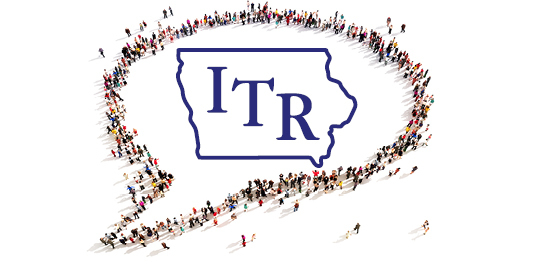 Taxpayers across Iowa are counting on you. The assessed values of commercial and industrial real estate were rolled back as part of 2013’s property tax reforms. To make up for the reduction in property tax revenue, Iowa’s state government “backfills” local governments. More than $152 million is paid to cities, counties, and school districts each year. Wednesday, a House subcommittee advanced a bill to phase out these payments. A similar bill has been introduced in the Iowa Senate. Many governments now have property tax revenue that EXCEEDS 2013 levels, even without including backfill payments. Some governments also see year to year growth in property tax revenue that exceeds the amount of the backfill. Property tax assessments continue to climb around the state. 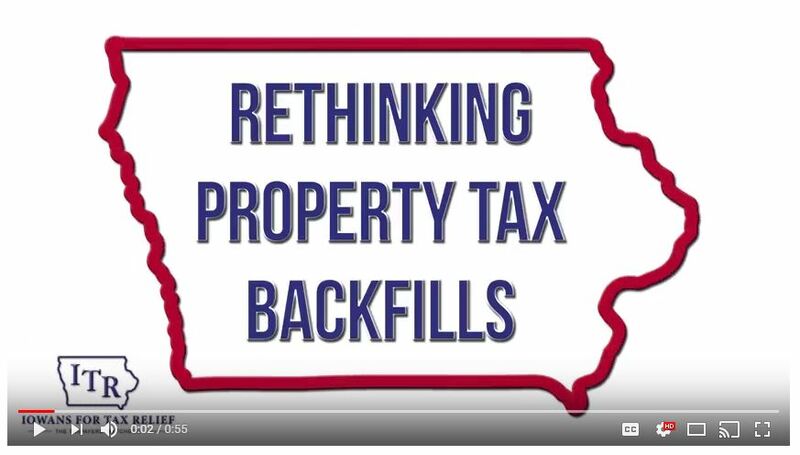 The State of Iowa needs to consider its backfill payments within the framework of total property tax revenue growth. This is not a cut. This shouldn’t lead to property tax increases. This will slow the growth of spending. Iowans for Tax Relief believes now is the time to decide how the state is involved in property tax payments.